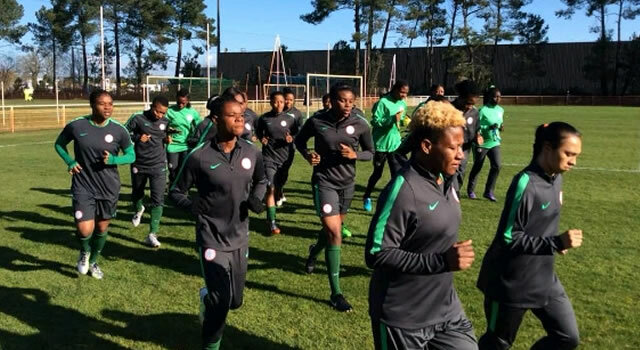 Thomas Dennerby, head coach of the Super Falcons, has named a 21-woman final squad for the 2018 Africa Women Cup of Nations billed to hold in Ghana. Reigning African Player of the Year, Asisat Oshoala; Desire Oparanoize, Fransica Ordega are members of the squad that will represent Nigeria at the 11th AWCON finals. The squad was revealed Wednesday in a media statement issued by Nigerian Football Federation Communication Department. The championship starts next week, with Cup holders Super Falcons to contend with South Africa, Zambia and Kenya in Group B of the competition.